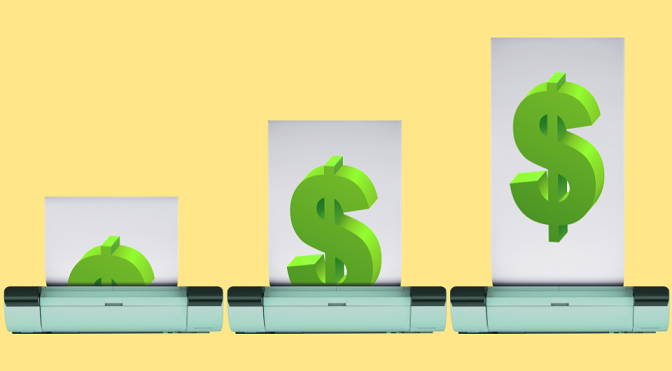 What You Need To Know About Adding Wide Format Printers to Your Service Offering | Industry Analysts, Inc.
By Jennifer Scherbring, GreatAmerica – From the early days of analog to the advent of digital, the Office Technology industry continues to transform with technology. As a vendor relationship manager with GreatAmerica for 12 years, I have seen first-hand how office technology dealers have been able to evolve with the industry and bravely adopt new product lines and service offerings. Where we once sold products, we now sell full-fledged solutions. It’s this impressive ability to morph and pivot with the industry that has allowed our dealers to flourish, even in a world where users print less than they used to. Identifying areas where opportunity remains strong is what our dealers are best at. According to Keypoint Intelligence, one area dealers can find opportunity for business growth is that of wide format printing. Wide format printing is a type of digital printing which is roll fed. Like the name suggests, it is used for printing materials with wider dimensions on an array of different materials called substrates. Most often they’ve been utilized in the construction industry by architects, engineers and construction crews as a way to print blueprints, but more recently, businesses and organizations of varying types are finding use in having wide format printers in-house to enable the on-site production of large format artwork or signage including banners, posters, tradeshow graphics or backdrops. How can I add a wide format offering to my Dealership? While the opportunity is plentiful, without a finance partner who can handle the nuances that come with a wide format service agreement, selling and administering invoicing for the services and supplies on these large machines can be challenging. This entry was posted in GreatAmerica and tagged GreatAmerica, print, Wide Format Printers by IA Staff. Bookmark the permalink.